Turkey has a magnificent past, and is a land full of historic treasures from thirteen (13) successive Ancient Anatolian Civilizations spanning 10,000 years! 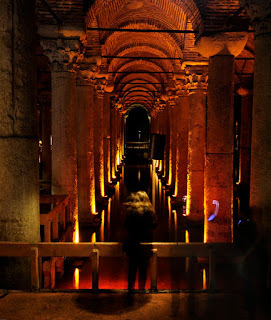 Even if you spend only a short time in Turkey, Multilingual Cultural Tour Operator TransAnatolie gives you the opportunity to explore a lot of these cultural, historical, archaeological, architectural and biblical/belief heritages with specially designed superb itineraries and with high QoS. The ancient Near East refers to early civilizations in a region roughly corresponding to the modern Middle East: Mesopotamia (modern Iraq and Syria), Persia (modern Iran), Anatolia (modern Turkey), the Levant (modern Syria, Lebanon, Israel, Palestine, and Jordan), and Ancient Egypt, from the beginnings of Sumer in the 6th millennium BC until the region's conquest by Alexander the Great in the 4th century BC. 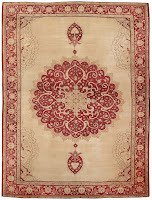 Turkish CarpetsCarpets are among the best known art forms produced by the Turks. There are environmental, sociological, economic, and religious reasons for the widespread art of carpet weaving among the Turkish people. 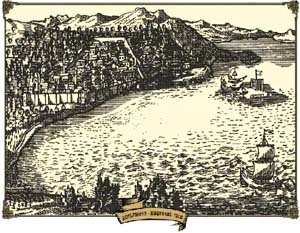 In the regions where the Turks have lived, temperatures changed greatly between day and night, summer and winter. Turks, whether nomadic or farming, have protected themselves from the extremes of the cold weather with carpets. The carpets are almost always handmade of wool, but sometimes cotton is added. In the traditional households, women and girls take up carpet weaving as a hobby as well as a means of earning money. Even as factory-made carpets became easier and cost less they cannot reduce the popularity of carpets in homes. Aegean:Aizanoi Ancient City, Anavarza Antique City, Aphrodisias Ancient City, Blaundos Ancient City, Ephesus Antique City, Erythrai Ancient City, Hierapolis Ancient City, Kaunos Ancient City, Kolophon and Notion, Knidos Ancient City, Lagina Hekate Ancient City, Laodicea Ancient City, Miletos Ancient City, Musgebi, Pedesa, Pergamon Ancient City, Phokaia, Sardis Ancient City, Stratonikeia, Telmessos Ancient City, Telmissos Ancient City, Tlos, Tripolis. Mediterranean:Antiphellos Ancient City, Aspendos Ancient City, Chimera, Daglik, Demre (Myra), Etenna, Kekova Ancient City, Kibyra Ancient City, Letoon Ancient City, Limyra, Olba Ancient City, Olympos, Patara, Perge Ancient City, Phaselis, Sagalassos Ancient City, Seleukeia, Selge Ancient City, Selinus, Side Ancient City, Termessos Ancient City, Xanthos Ancient City. Marmara:Assos Antique City, Troy Ancient City. TURKEY'S BEST CRUISE DESTINATIONSTurkey is a very popular departure and stopover point for cruise liners. Turkey's strategic location on the Mediterranean and Aegean, as well as on the Black Sea, makes it one of the most popular spots for the cruise ships. CRUISING AROUND TURKEY Kick back and relax on an all-inclusive luxury cruise around the coastline of Turkey. Year after year, more and more people prefer to spend a few days at Aegean, Mediterranean and Black Sea destinations in Turkey at the beginning or end of their cruises, to discover cities or coastal resort towns. There are several ports of call around the long Turkish coast line where today's big ships are bringing their customers on board, such as Istanbul, Izmir, Kusadasi, Cesme, Antalya, Bodrum, Marmaris, Canakkale, Trabzon, Sinop and so on. Istanbul, the western ports of Izmir, Kusadasi, Bodrum and Marmaris, and the southern port of Antalya are among the favourite destinations for cruise ships. 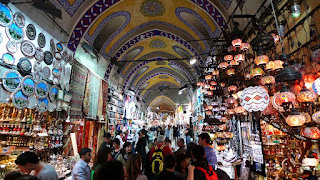 Did you know the Grand Bazaar one of the oldest shopping mall in the world? Still attracts over 250 000 people everyday. 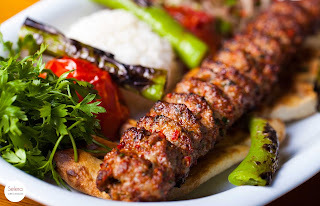 The historical Grand Bazaar has it all: 61 covered street and over 3000 authentic shops. Alluring fragrences, colorful sights and hypnotizing sounds. No wonder it is one of the most popular shopping areas in the world. Did you know the Monalisa mosaics in Turkey? 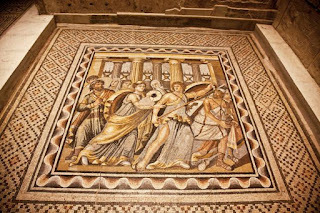 Zeugma is the biggest mosaic museum in the world where the world famous mosaic of the gypsy girl lives.So whats the story of the Zeugma museum?Lets find out. 2000 years ago people used to build temporary bridges by attaching both to each other to cross the mightly Euphrates River.The ancient city of Zeugma was named after such a bridge,Zeugma was a crossroad between eastern and western civilization as it was the city of strategic importance. Zeugma was rich and cosmopolitan city,culturaly speaking;its a mosaic itself.Wealthies people lived in terrace villas and decoreted them with amazing mozaics.Some of these villas were excavationed and rebuild here.Peace by peace,stone by stone,column by column.Currently there are 2250 square meters of mosaics in the museum.Their photographs giving us a glimpse into antique life habits and personal taste.Discover all this and more in Turkey! This is 400 years old mosque came to be known as the Blue Mosque because of the blue tiles adorning its interior walls. This mosque is currently operational and locals fill up this place 5 times a day for their prayer rituals. 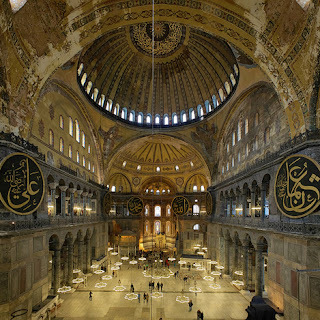 Hagia Sophia has been standing on the Sultan Ahmet Square for 15th centuries. This building is one of the world’s most important monuments of architectural history. Its the oldest cathedral of the world. It has been built as an Orthodox church and when Ottomans conquered Istanbul, it was converted into a mosque. With the foundation of the republic in Turkey,it has been secularized and turned into a museum. The maiden Tower story is a well-known Istanbul Legend. A king learns from one of the his oracles that his daughter will be killed by a snake bite by her 18th birthday. To protect his daughter, the king build this tower on the water, a way from any snake and he imprisons his daughter here. However the prophecy stil manifests, As a snake enters the tower inside one of the birthday presents that the girl receives on her 18th birthday. 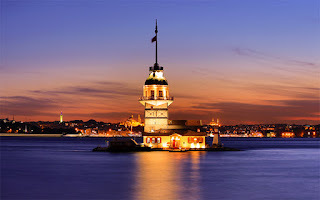 Today,you can reach the tower by boat and have a dinner with a 360 view of Istanbul. 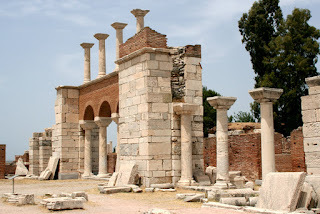 After Paul’s execution,John took over the leadership of the church at Ephesus,and wrote his gospel and letters.After his death,he was buried,according to his wishes,in the spot that now forms the center of the Church of Saint John. The Church of Saint John is located South of the Selcuk fortress on Ayasuluk.In the Byzantine period,it was the most impressive house of workship in Ephesus and was known everywhere. The church historian Eusebios remarks that the disciple John was expelled from Jerusalem and spread Christianity in Anatolia between 37 and 42 CE.The young evangelist supposedly took the Virgin Mary under his care and came to Ephesus with her. There’s still a lot of people who only know of Turkish Delight as the powdery white sweet used by the White Witch to entice Edmund in The Chronicles of Narnia. However, the confection has a long history and is one of Turkey's most popular exports. We went back to the year 1777 to explore the story of Lokum, a very, very sweet dessert. 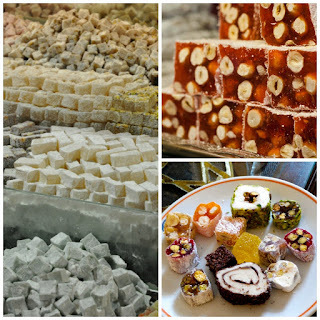 One of the oldest sweets in the world, going back almost 500 years, the Turkish Delight recipe has remained almost unchanged since the day of its inception. As the story goes, the Sultan, trying to cope with all his mistresses, summoned his confectionary chefs and demanded the production of a unique dessert. It was through this summon that the Turkish Delight was born.